Very few people enjoy cleaning. Most of us try to avoid it if we can. However, for Rumu, the small household vacuum cleaner created by Cecily and David Kennedy, it is a passion. 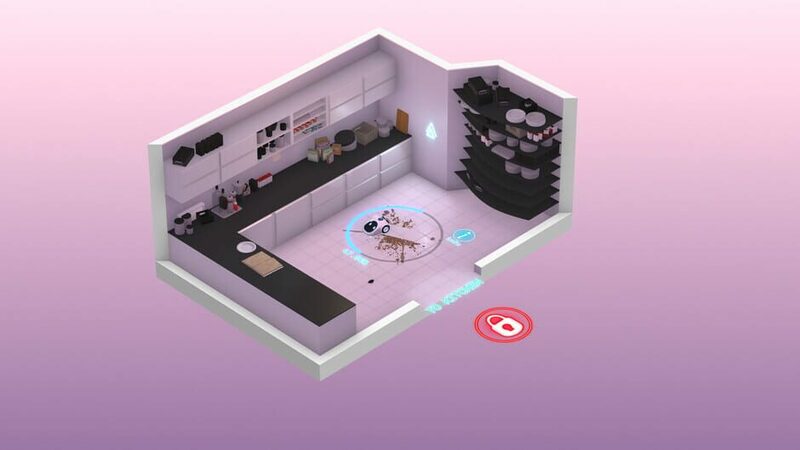 Rumu loves mess, loves its family, and loves Sabrina, the household AI that manages the household. Rumu is very much a narrative between Rumu, the player character, and Sabrina, our source of exposition. Through these two you get to the heart of the family and the world around the house. The family is the central focus of Rumu’s story. Sabrina and Rumu, as artificially intelligent appliances, have duties that they must perform in order to maintain the household as best they can while their creators are out and about being human. Each level of the game starts with Sabrina giving Rumu the directive of the day, followed by an update on the family. You are then allowed to use your little vacuum powers to set the house straight! Be it toast, dirty clothes, or cat litter, you’re there to pick it up for your humans. However, things take a turn, as not everything is as it seems. Rumu begins to uncover secrets underneath all the grime, and secrets begin to spill that you must pick up to find the truth. Where Rumu’s story excels is that it takes a concept like artificial intelligence, which has been popularized by all media, and reevaluates it from a simpler and more intimate angle. How does AI fit in the household, and how would it grow and evolve when “living” with humans? We get the genuine sense from the game that the AI miss their human creators and would like to see them more, and that neglecting them, like any human, can lead to unintended consequences. In these questions, Rumu does more of diving into the humanity of artificial life than Quantic Dream’s Detroit: Become Human. Unlike the story delivered via this backdrop, Rumu doesn’t provide a lot of depth in its gameplay. There are several layers of puzzles and in true point and click fashion you’re rewarded for exploration. The puzzles are not difficult to solve, either requiring previous knowledge from reading scattered lore or finding the right items strewn about the room. 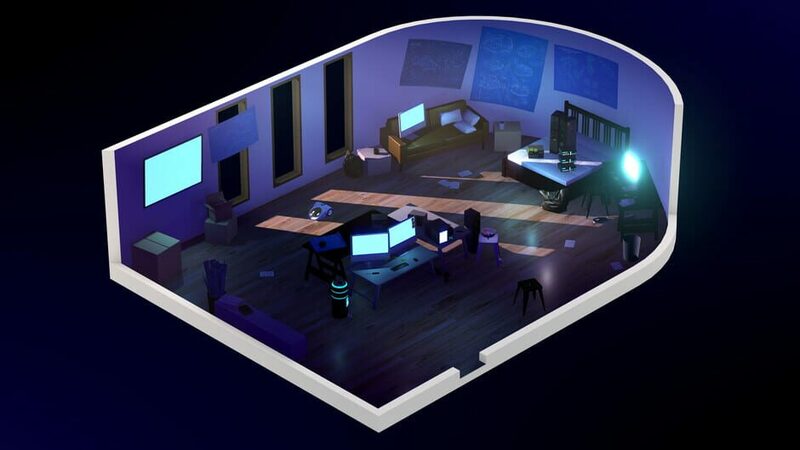 The player is rewarded for searching high and low in the Kennedy house, with an assortment of clickables and minigames dashed around the house. It is reminiscent of a Telltale Game, as the gameplay takes side saddle to the story that the developers wishes the player to experience. However, this is not to say that it is bad that it is simple. In it minimalism, Rumu provides a framework to house it’s narrative, while simultaneously staying true to its conceit that you are playing as an appliance. An artificially intelligent appliance, but an appliance all the same, with only so much functionality to bring to the world. Just like Rumu itself, the game is a small, cute package that hides a lot of complexity underneath. Gamers can expect to finish the title in two to three hours with some exploring. It’s a gorgeous and fun game and well worth your time if you’re looking for a romp outside of the confines of dark and gritty games that are on the shelves this Autumn. This Robot House title is available for $19.99 USD for PC and is on the Steam Marketplace.